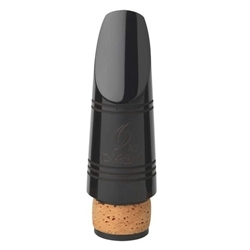 When Ricardo Morales and Morrie Backun discussed the idea of manufacturing Clarinet mouthpieces, they were faced with one question: How do we create a mouthpiece that is tailored to every player? With no simple answer, the two set out to redesign the mouthpiece from tip to table. Not sure what Backun Mouthpiece works best for you? View our Mouthpiece Comparison Chart.